ZOEVA’s high-performing brushes not only look beautiful, but also are considered among the best in the business, enabling you to blend and buff like a pro. Plus, each brush has its name written down the side, so there’s no head scratching as to what it’s meant for (hurrah!). 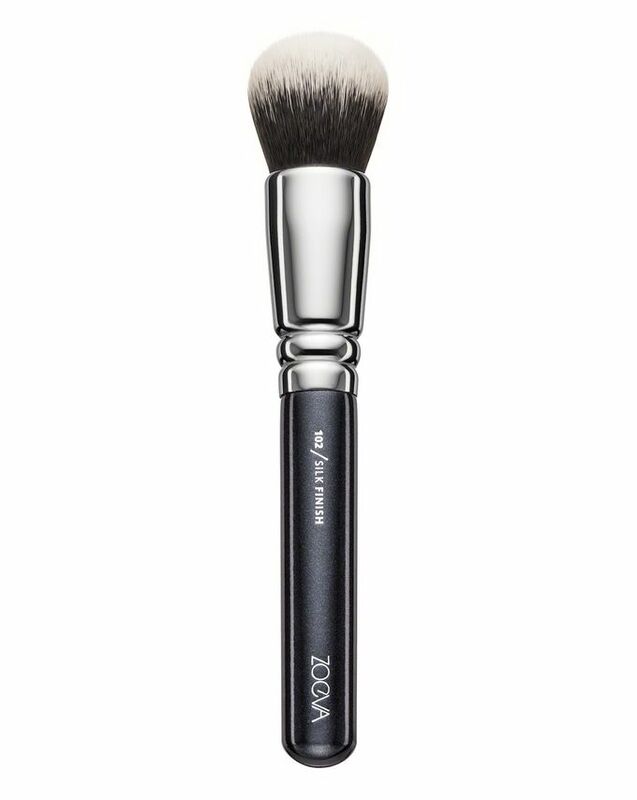 Their Silk Finish Brush (102) is especially good for applying and blending foundation and base powder, for a professional finish. This delicate brush has feathery light bristles and a specially shaped brush head, for a perfect, streak-free finish. The design features a wooden handle, metal ferrule and vegan taklon bristles and is available in classic black or rose golden designs. ZOEVA’s collection of brushes are beloved by professionals and make up devotees alike, each one delivering a flawless finish so you can boss even the trickiest of make up techniques. This brush is perfect for the streak-free application and blending of foundation, powder and mineral make up products. For a natural finish, apply your make up gently by dabbing the brush onto your skin and then softly blend the edges in a circular motion. The brush is gorgeous and soft but I prefer stippling brushes. I would definitely recommend the brand though, great quality. I bought it in rose gold and I use this for applying foundation. I stipple it on as opposed to sweeping. It gives a nice airbrush finish, no streaks, smooth application. Amazing!!!! And for the price, simply won't get any better! I just received this brush, first time I've ordered after seeing a make-up artist using it on TV, came in a lovely little zip lock pouch and the brush itself looks so gorgeous, chrome and black and it has the softest bristles, I cant wait to use it! Quick delivery too! This brush is amazing. Blends my foundation flawlessly it’s my new favourite. I'm loving all of Zoeva brushes their superb quality and great prices. My og for foundation! Blends like a dream and doesn't leave brush strokes on the face either. It gives an almost airbrush finish! The brush is just fine but not exceptional. There are other brands with similar brushes that are much softer. Superb brush for blending and buffing liquid product! Makes a lovely flawless finish when the product is patted on. Lovely quality as always, perfect for applying powder foundation, after reading recommendations I didn’t hesitate to purchase. Just love zoeva brushes!!! Thank you very much,very fast shipping and brush is very soft and blend foundation beautiful.